We started in Des Plaines in 1973 and moved to Wheeling in 1985. AAG has developed many international gymnasts including 1992 U.S. Olympian Chris Waller. 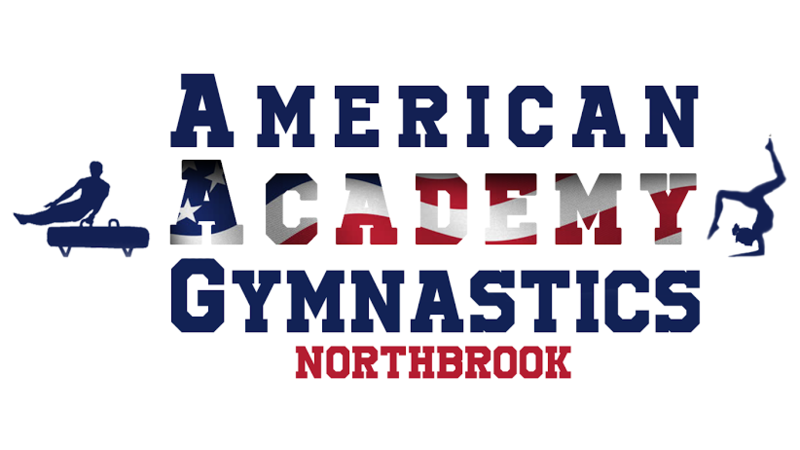 The American Academy has also graduated gymnasts who have cumulatively earned over $4 million in college scholarships. We also train (in house) the Stevenson High School girls' team, winner of four straight Illinois High School state championships. We have three objectives regarding our students: Safety, Learning and Fun. Our primary teaching method involves using progressive skills. Skills are acquired by doing drills that eventually lead to the skill as a whole. Using this method of learning allows students to experience success as each drill is mastered as opposed to only experiencing success when the final skill is accomplished. This method also improves safety and confidence while assuring fast and sure learning. Our staff is an experienced team of coaches averaging of over 17 years experience. All AAG team members go through a background check and are safety certified through USAG. Maximum Pre-school class sizes are 7 to 8 children per teacher depending on age. Classes with children 6 and older have a maximum of 10 students per instructor.